Last year I was contacted by the Universidad del Norte in Barranquilla, Colombia, about the prospect of giving some faculty workshops on teaching and learning at their annual summer event. I was thrilled at the prospect, and eventually we agreed that I would spend a day and a half working with interested faculty on the ideas from Small Teaching, as well as provide a keynote on my book Cheating Lessons for a conference they were hosting. 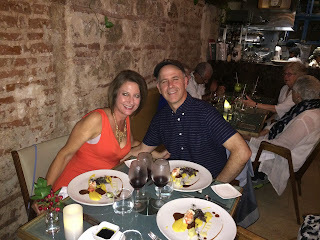 I spent a very busy and enjoyable week in Barranquilla, hosting these events and meeting with other faculty and staff from their teaching center, after which my wife and a friend joined me for a few days of relaxation in Cartagena. Here are a few photos from that trip (the first seven of which are credited to Universidad del Norte), which concluded a couple of weeks ago. I will be returning to Barranquilla and making my first visit to Bogota in September, where I will be working with three universities on a Fulbright Specialist grant to help create a MOOC on teaching and learning for Latin American faculty. Very happy and excited to return to Colombia next month! Opening presentation on the theory and practice of small teaching. The morning session had more than one hundred faculty in fixed auditorium seating--not ideal for interactive workshops, but we did our best! Second day, with a little bit of discussion of Carol Dweck's theory of the growth mindset. Final session of the second day, focused on theories of motivation that lend themselves to small teaching approaches. Pausing for some green tea--an activity which will strike readers of Small Teaching as a familiar one for me. The keynote on Cheating Lessons on Friday morning--another very crowded room. Boy, do I seem to love to gesticulate. Work all done, enjoying dinner with my wife at Carmen's in Cartagena. 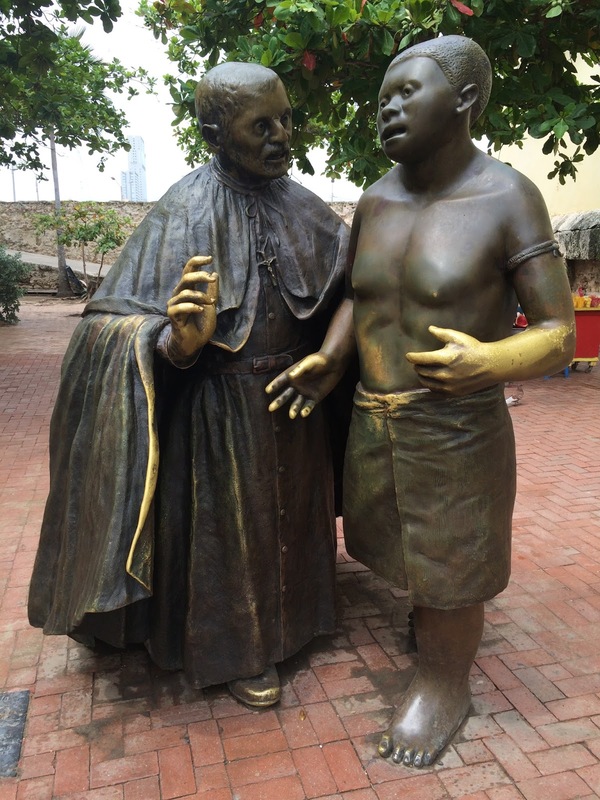 An inspiring visit to the church of St. Peter Claver, the saint of the slaves. Farewell from my scuba diving trip to the Rosario Islands off the coast of Cartagena.